Start Bay Centre is located at the top of Slapton, surround by England’s beautiful countryside. This old school building is a wonderful venue for an exciting packed family holiday. We have a large enclosed garden, where your family will find the campfire circle and a safe play area offering a secure and private location for young family members to have fun in. If the weather in England isn’t on your side, while you are experiencing your real family holiday in Devon, then don’t worry! Inside your family you will find an activity room, with board games, books, hot and cold drinks facilities and a TV. Your family can also use the facilities located at our as well. Located close to the stunning Slapton Ley National Nature Reserve this Centre really has the best of all worlds when it comes to natural surroundings. With the south Devon coast and the largest natural lake in south-west England on the doorstep, you will find your family in the midst of an abundance of wildlife, including otters, badgers and bats. Slapton Sands is a beach your family must visit on your holiday. On top of being an extremely picturesque and popular beach, it plays an important part in the survival of some of the UK’s rarest flora and fauna. 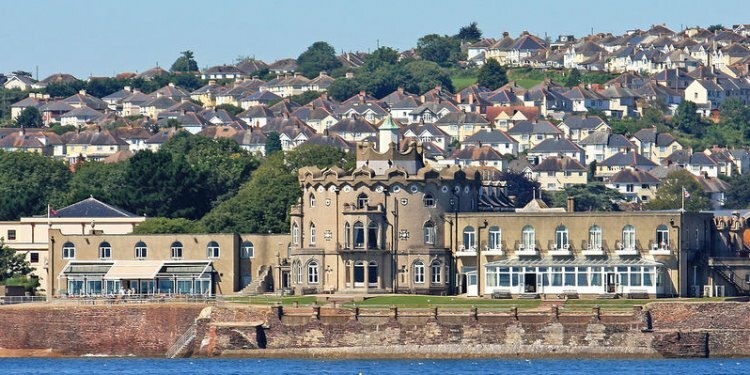 Totnes Castle or Dartmouth Castle: Take a trip to either castle to find out about the history and heritage of these marvellous places. Woodlands Leisure Park: The largest family theme park in Devon. Thurlestone Sands: Thurlestone is made up of two main beaches - the smaller one is next to the Golf Club while the larger beach is slightly further along the coast towards South Milton. Both beaches are sheltered and the waters are shallow enough for young family members to splash about in. Becky Falls Woodland Park: A great fun family day out. Splashdown Quaywest: Take a drive to the UK’s largest outdoor water park. Slapton Village is a short walk away which provides a range of facilities including the village shop and two pubs. Take a walk, bike or drive through Slapton Village and beyond to see the picturesque coastline.